We’d love your help. Let us know what’s wrong with this preview of The Hot Young Widows Club by Nora McInerny. From the host of the popular podcast, Terrible, Thanks for Asking, comes a wise, humorous roadmap and caring resource for anyone going through the loss of a loved one—or even a difficult life moment. In the span of a few weeks, thirty-something Nora McInerny had a miscarriage, lost her father to cancer, and lost her husband due to a brain tumor. Her life fell apart. What Nor From the host of the popular podcast, Terrible, Thanks for Asking, comes a wise, humorous roadmap and caring resource for anyone going through the loss of a loved one—or even a difficult life moment. What Nora discovered during this dark time is that, when you’re in these hard moments, it can feel impossible to feel like even a shadow of the person you once were. People will give you all sorts of advice of how to hold onto your sanity and sense of self. But how exactly? How do you find that person again? Welcome to The Hot Young Widows Club, Nora’s response to the toughest questions about life’s biggest struggles. To ask other readers questions about The Hot Young Widows Club, please sign up. A fascinating consideration of the question: how do you survive grief? It inspired me to listen to McInerny's podcast, "Terrible, Thanks for Asking." 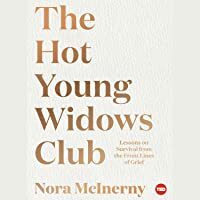 It’s not often that I read an entire book in one sitting, but Hot Young Widows Club by Nora McInerny is one of those books that I just couldn’t put down. The book starts with Nora telling the reader about her hardships. In the span of only a few weeks, Nora lost her husband, her father, and the baby growing inside of her belly. I cannot fathom having to go through something such as this, and how Nora was able to write this book after experiencing all of those losses is incredible in itself. 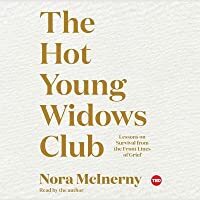 Hot Y It’s not often that I read an entire book in one sitting, but Hot Young Widows Club by Nora McInerny is one of those books that I just couldn’t put down. The book starts with Nora telling the reader about her hardships. In the span of only a few weeks, Nora lost her husband, her father, and the baby growing inside of her belly. I cannot fathom having to go through something such as this, and how Nora was able to write this book after experiencing all of those losses is incredible in itself. 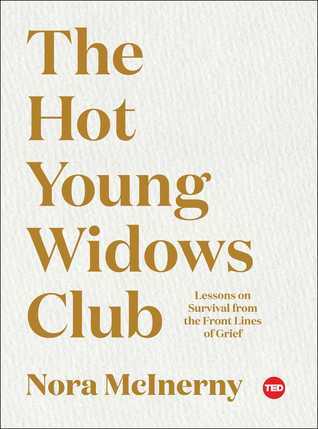 Hot Young Widows Club takes the reader through the life of Nora after she experienced those three deaths and how she coped with them. There were many times during this book that I teared up due to Nora’s breathtaking and beautiful prose. I could not identify with her completely, but I started reading this book a week after my grandfather died. In all honesty, this book actually helped me to get through that loss. I believe this book is a perfect one for those who have gone through any kind of loss in their life, and if they haven’t, it is still worth the read due to Nora’s lovely writing. Since this book has not been released yet, I don’t want to give too much of it away, but there was one part in it where she addressed the reader personally through the use of the second person. Normally I do not like when anyone uses “you” in a book (unless they do a great job of it) but I felt like Nora was talking to me directly. THAT is how good her writing is. She talked about how death can define a person because sometimes there is no way of getting over that loss, but it does not have to define the entirety of their life. She talked about how there is no way of moving on, but there is a way to move forward. She talked about pity and grief and emotions. She talked about everything.